See below for local, State, and National resources. Is there an amazing resource you trust as a Real Estate professional? 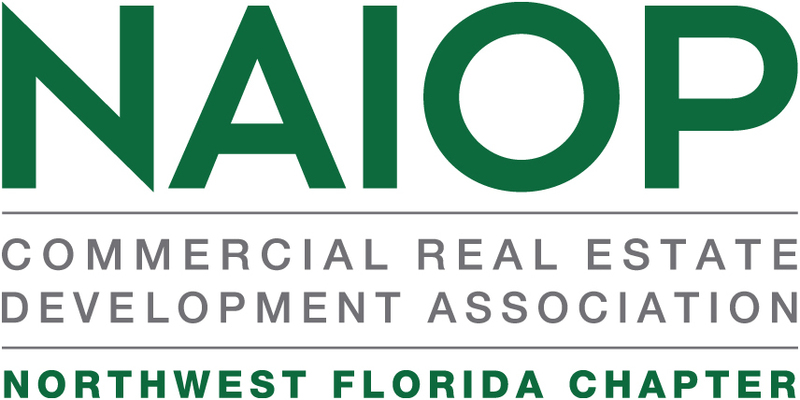 Please let us know, email admin@naiopnwfl.com. Escambia County handles community, environment and government affairs and economic development. The Mission of the Emerald Coast Utilities Authority is to promote the quality of life of the Emerald Coast by providing water, wastewater, and sanitation services in an effective and efficient manner. Santa Rosa County handles community, environment and government affairs and economic development. The City of Pensacola provides city news and information for residents, and also houses the Office of the Mayor and other government, business and utility agencies in Pensacola. Gulf Breeze is dedicated to preserving and enhancing its hometown character and natural environment to foster a high quality of family life. Century, in Escambia county, is part of the Pensacola metropolitan statistical area. Milton, the county seat of Santa Rosa County, is a vital, progressive city that is still able to maintain the fine balance between small town charm and modern urban life. Pace is the western gateway to Santa Rosa County Florida, and, with thousands of residents and more pouring in daily, this unincorporated area is poised and ready to begin its first steps to the new future as a new Florida city. Since it was established in 2009, the Florida Economic Gardening Institute and its GrowFL program helped create an economic output of $510 million in the State of Florida, helping to create 3,285 jobs. Florida’s Great Northwest is the regional economic development organization representing the 16-county ‚Panhandle region of Northwest Florida. It is an investor-supported 501(c)(6) nonprofit corporation created to assist companies that are evaluating Northwest Florida as a business location. With its eight deep-draft berths and more than 400,000 square feet of covered storage, the Port is located on the Gulf of Mexico just 11 miles from the sea buoy. The 50-acre facility offers a Foreign Trade Zone (FTZ #249), an Enterprise Zone (EZ #1702), and stevedoring and marine terminal services for all descriptions of bulk, breakbulk and unitized freight. The Pensacola Downtown Improvement Board exists to continue the removal of commercial blight, enhance property values, encourage economic development, attract commercial and residential development into the urban core, and beautify Downtown Pensacola. NAIOP is a national association with 11,000+ members and an extensive network of 49 chapters that represent the interests of developers and owners of industrial, office and related commercial real estate throughout North America. NAIOP provides communication, networking and business opportunities for all real estate related professionals; provides a forum for continuing education; and promotes effective public policy, through its grassroots network, to create, protect and enhance property values. A listing of leasing forms including: lease agreements, extension, and rent increase. Glossary of a commercial real estate terms. A great variety of leasing articles. CoStar is the number one provider of information, marketing and analytic services to commercial real estate professionals in the United States. To provide the best commercial and investment real estate education and services which afford a unique competitive advantage and create recognition of the designation as the hallmark of competency. The mission of the Department of Defense is to provide the military forces needed to deter war and to protect the security of our country. The mission of Defense.gov is to support the overall mission of the Department of Defense by providing official, timely and accurate information about defense policies, organizations, functions and operations. US Management has served the real estate industry for over two decades as the trusted source for property owners to locate and select Accredited Management Organizations (AMOs) globally. AMO members represent some of the most prestigious real estate firms in the world.